Anyway, to cut a long story short: acid exfoliants, big thumbs up from me. And so when the team at L’Oreal asked me to take part in their 30 day Peel Pad Challenge I was more than happy to take up the gauntlet. 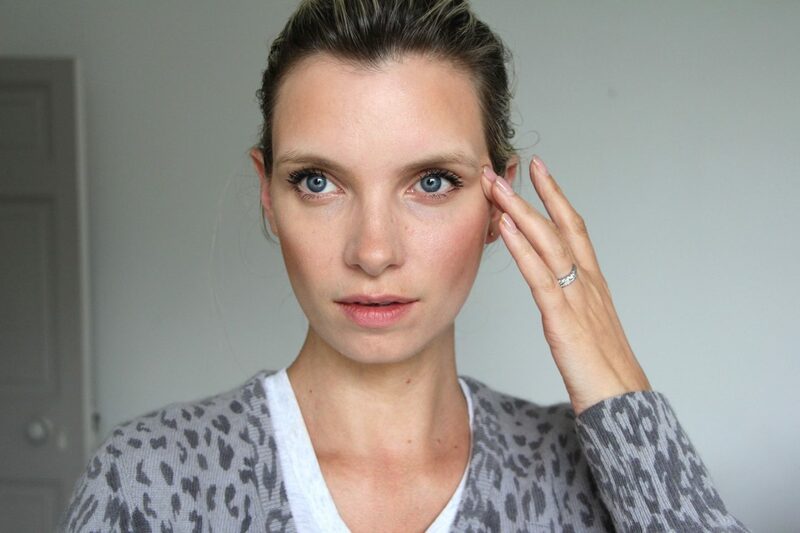 Their Glycolic Peel Pads launched fairly recently in the UK, much to my excitement – I had crossing my fingers that they would add these to the UK Revitalift line-up. There are few products that can really make a visible difference in a short amount of time and acid exfoliants are, I think, one of them. I only had two worries: one was that I wouldn’t be able to remember to use the pads every single day for thirty days. Acid peels or exfoliating products aren’t something I usually use daily – more like twice or three times a week – and so I wondered how many evenings I’d forget to swipe one on. My other worry was sort of related to this: would using an acid exfoliant every day be too much for my skin? As it turned out, remembering to use the peel pads was easy; I just left the pot next to my cleanser on the shelf and sat my moisturiser on top of the lid so that I saw the pads before it was too late. And the “overdoing it” worry? Well, L’Oreal had asked me to take part in the challenge for that very reason – the glycolic complex that saturates the pre-soaked pads has been formulated for daily use, so you don’t have to worry about it causing adverse effects. 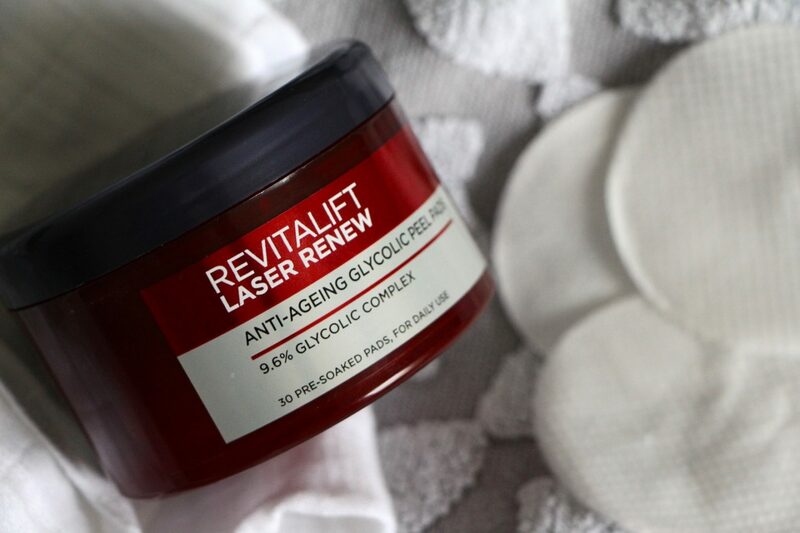 The L’Oreal Revitalift Laser Renew Anti Ageing Glycolic Peel Pads (name and a half, that!) felt gentle on my skin but definitely didn’t feel lacking in the brightening department. There was the familiar tingling sensation when I wiped the pad over my face (after cleansing, before serum/moisturiser, easy peasy) but never any redness or tightness or feeling of irritation. And so, the results of my 30 Day Peel Pad Challenge. My biggest observation was that my skin appeared to be more even-toned and clear throughout the month. Even in my notoriously dicey hormonal week there were no breakouts – I had one spot the size of a bubo, midway through my cycle, but I suspect it was caused by eating an entire oversized Cadbury’s easter egg in one sitting. (I didn’t want it to go off.) So, no breakouts, no bumpiness, and a gorgeous, even-toned clarity that made me look rather fresh and youthful, if I do say so myself. I thought there might be redness or a bit of irritation around the nose, where I get a bit sensitive, but nothing. I followed the pads, by the way, with a retinol cream every other night, and it’s well worth noting that I didn’t get any sensitivity or reaction at all. I know that many people think you can’t use them together, but there were no problems whatsoever with this little line-up. 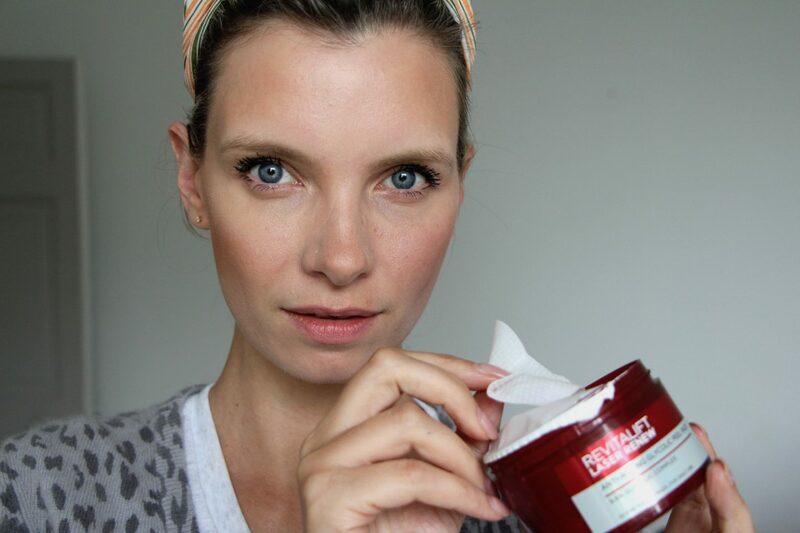 You do have to remember to use an SPF in the daytime however – I used Revitalift Laser Renew SPF20, reviewed here. It’s bouncy and gorgeous and doesn’t leave any chalky or greasy feel. You can find L’Oreal Glycolic Peel Pads at Boots.com here – they are currently £14.99 instead of £22.49! This post contains paid-for advertorial with L’Oreal Paris. Next Post Who Needs a Bedside Table Anyway?